I have put together a gallery selection of photographs and page layouts from our published cookbook 'A Dash of Love', please enjoy. As part of my final project for my photography degree through the University of Hertfordshire I have chosen to create and publish a cookbook of family favourites from my Nana Una's cooking. Over the last few months I have been carrying out this new experience of producing a book, from conceptualisation to final printing and publication. Nana Una is very well known and loved for her cooking ability and the delicious meals and treats that family and friends enjoy when they are at her place. For this very reason I felt that it would be a nice idea to produce a food photography based cookbook of favourite recipes that is well known and loved. Some of the props I bought at IKEA to use in the food photography. For this project I have really enjoyed carrying out some food photography as this is not a genre that I have had much experience in. I went to some antique shops to find some unique props as well as IKEA. Using a variety of props really helped to keep the different recipes to look and feel different. The Woden planks used as the majority of my surfaces for the cookbook food photography. In the process of capturing photographs for the final production I have captured over 1,500 various food photography compositions in relation to the food that was cooked for the cookbook. For the production and publication of 'A Dash of Love' I used the services of Blurb. They offered an extensive range of services that enable me to distribute and sell the book through a variety of vendors and both printed and eBook formats. The process of creating the cookbook was very streamlined with the use of Blurb's book authoring application 'Bookwrite'. The uploading and final publishing and printing of the book was a breeze with shipping to virtually anywhere in the world. One thing I have learnt from this experience is how expensive producing a book is and how little to no profit an author can make. As is the case with this cookbook the initial cost is already quiet high and as is the case it is sold with no profit, in order to make it as accessible as possible for most people. I received my final printed and published book and I must say that I am very happy with the quality and detail that Blurb has shown and also the incredible service that it has shown. I highly recommend them to anyone that is looking at producing a book or printed portfolio. A sample contact sheet of some of the photographs used in the cookbook. A Dash of Love, final printed front cover view. 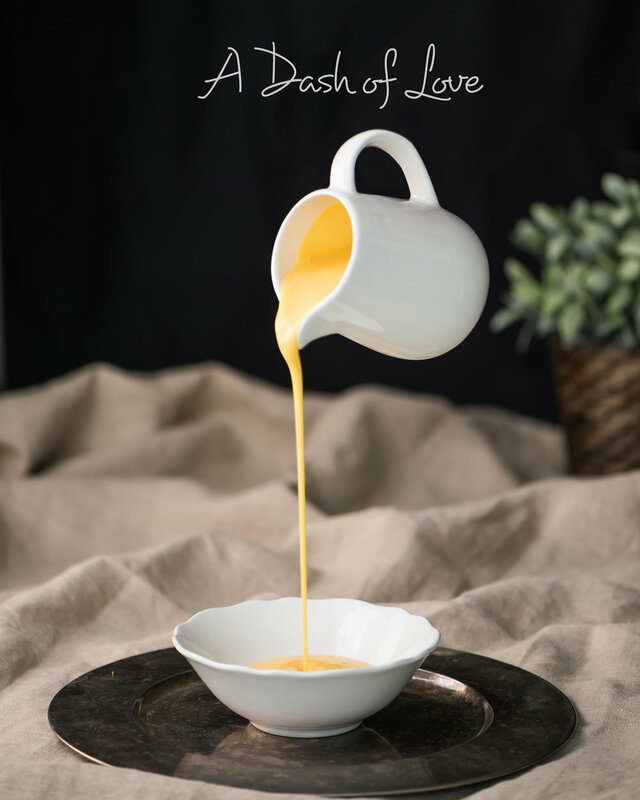 The cookbook 'A Dash of Love' is being sold at no profit in both printed book (hard and soft cover) as well as eBook through Apple iBooks and Blurb. Thank you so much to everyone for the support and help. 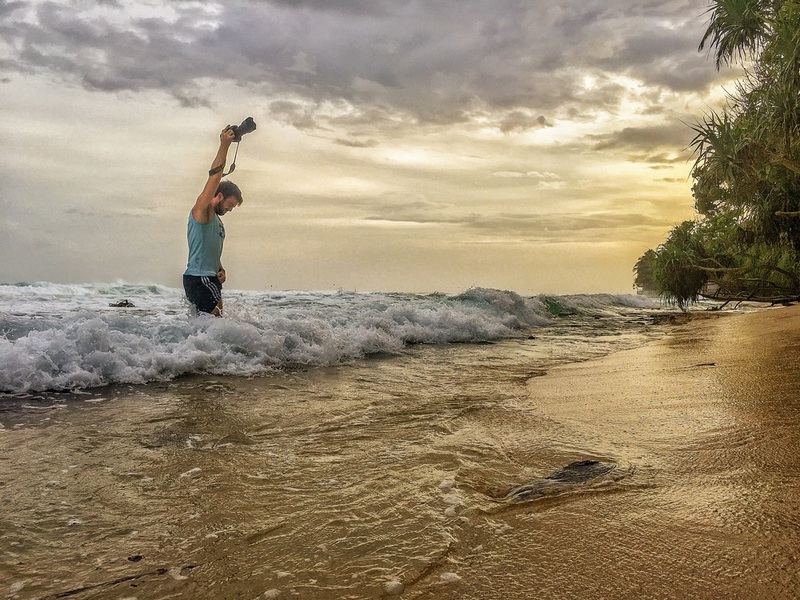 I have just been to Sri Lanka again and thought I would put together a little blog post with some of the photos taken on my iPhone 6s plus and details from my trip there. Welligama Bay with a traditional old fishing boat. We landed in Colombo International Airport and then took the 2 hour drive down the new expressway to the south of the country. The first place we stayed at was The Boathouse, Welligama Bay. The area of Welligama is relatively undeveloped in the sense of tourism. 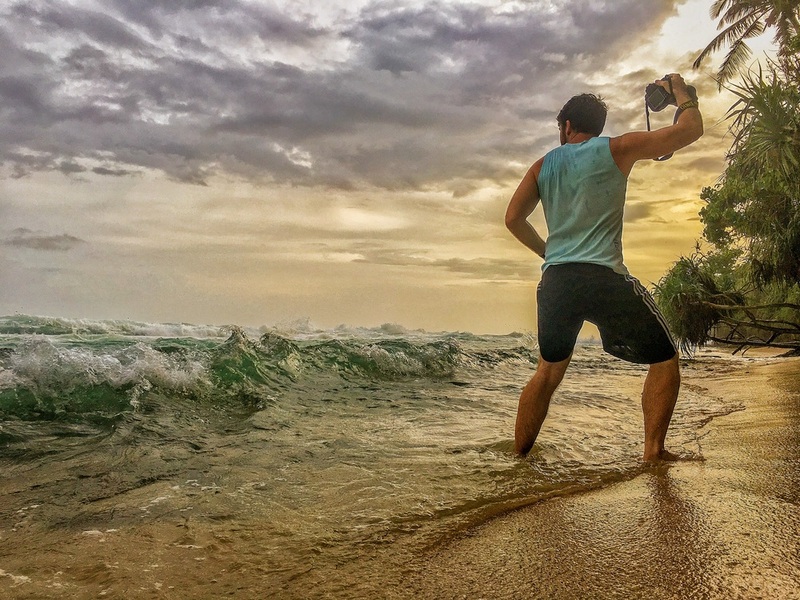 It is a very popular and famous location in Sri Lanka for surfing as it has a beautiful big wide bay with lovely waves rolling in. We spent three days at The Boathouse, as always in Sri Lanka the staff were amazing a very sweet. Enjoying the ocean views with some fish and chips and a fresh coconut at W15. Welligama Bay view from The Boathouse. 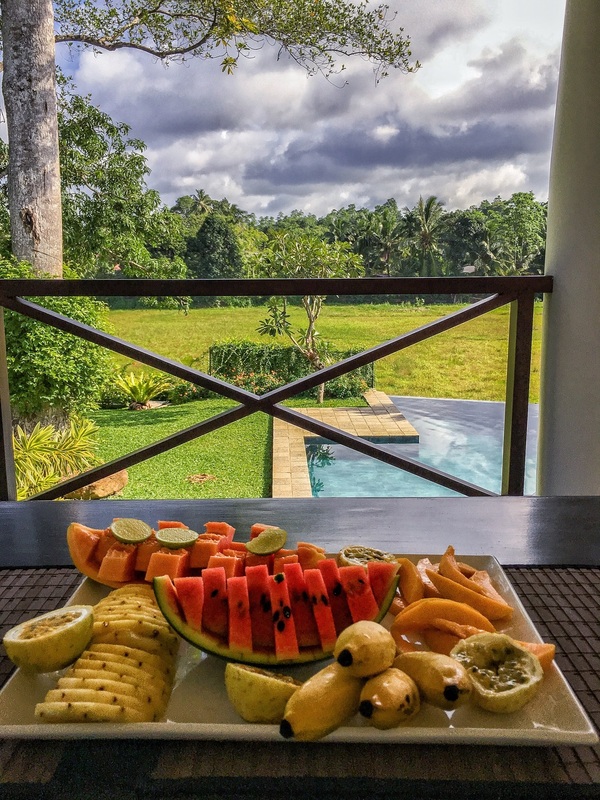 The delicious fresh fruit platter for brekkie every morning. 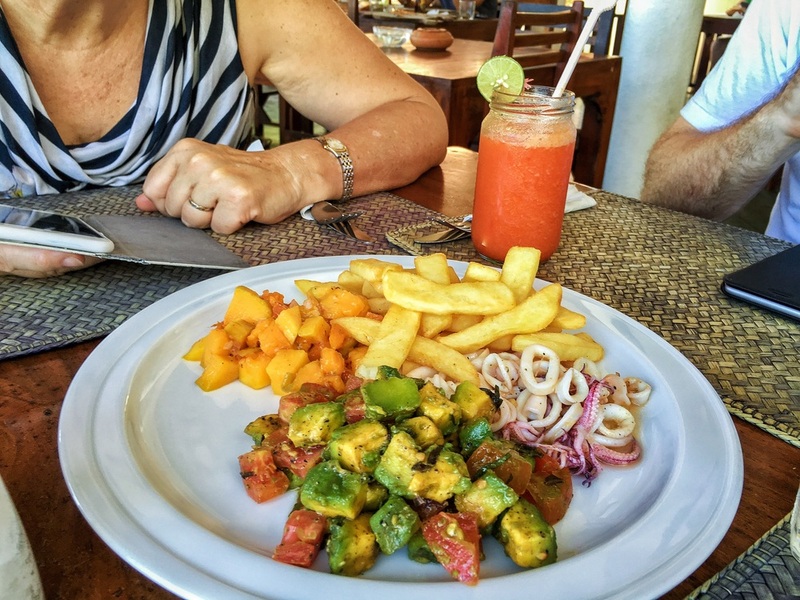 Some delicious fresh calamari with mango and avocado salad and a side of fries. 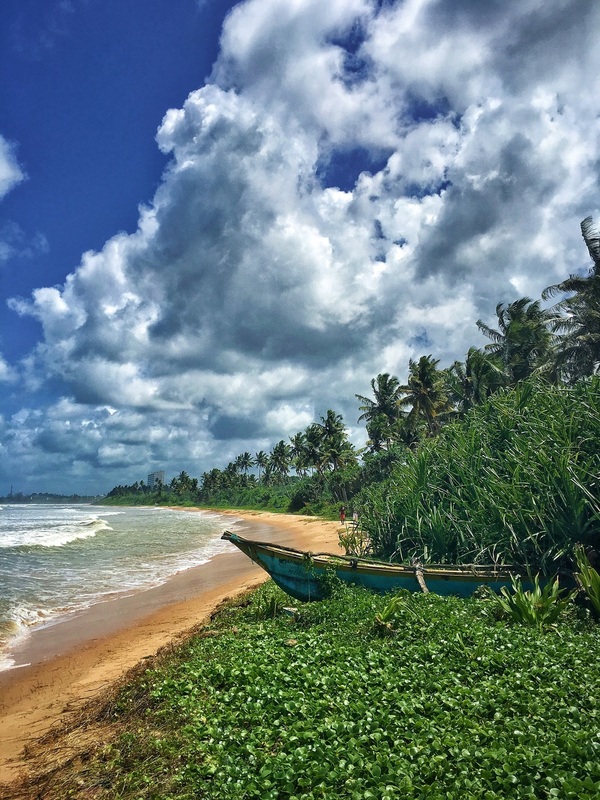 We then moved on back towards Galle and stayed in Talpe at Alfie's Beach House. We had a delicious lunch at Wijaya Beach Restaurant and Café. We spent some time in at the Galle Fort enjoying the ever amazing clouds and sunsets that can be seen in and around the fort and lighthouse. The lovely setting of Wijaya Beach Restaurant in Talpe. 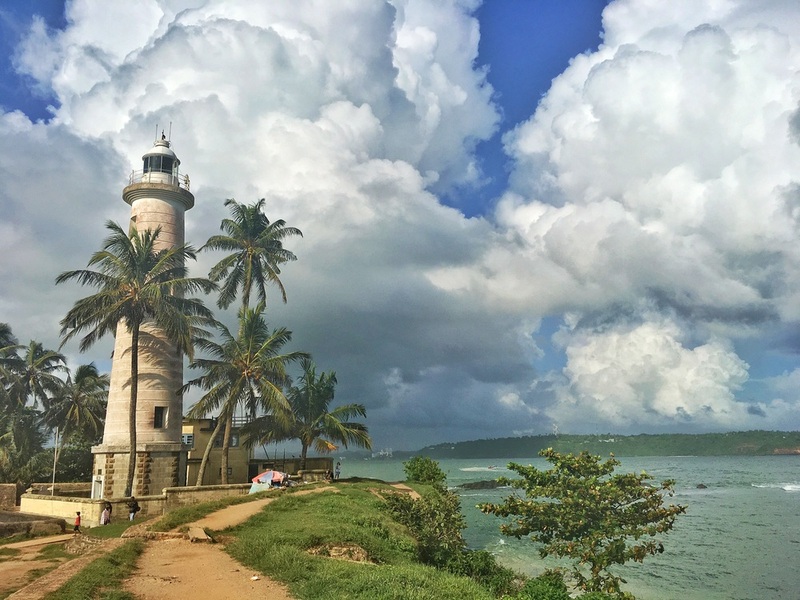 Beautiful clouds out over the Galle Bay and the Galle Fort Lighthouse. A panorama of the Lighthouse and looking out to sea. After spending a couple of days down on the beach at Alfie's Beach House we then moved onto the stunningly beautiful Etamba House. 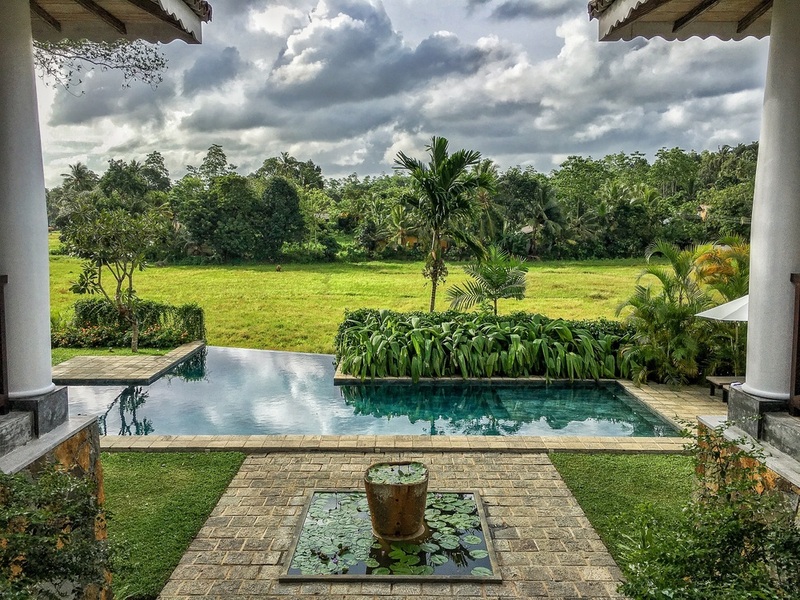 Etamba House is located just a smidge inland from the very popular Unawatuna Beach nestled in rice paddy with a stunning view out over the paddy fields. It is called Etamba House as Etamba is the name of a local tree and there is a very large old Etamba Tree in the garden that you can relax under while laying back in the pool. The view from the main stairs at the back of Etamba House looking down to the pool and across the rice paddy fields. The pool area of the garden. Etamba House is an absolutely stunning take on a modern version of the old traditional colonial style house found in the south of Sri Lanka. The setting of this property is so lovely and truly relaxing. 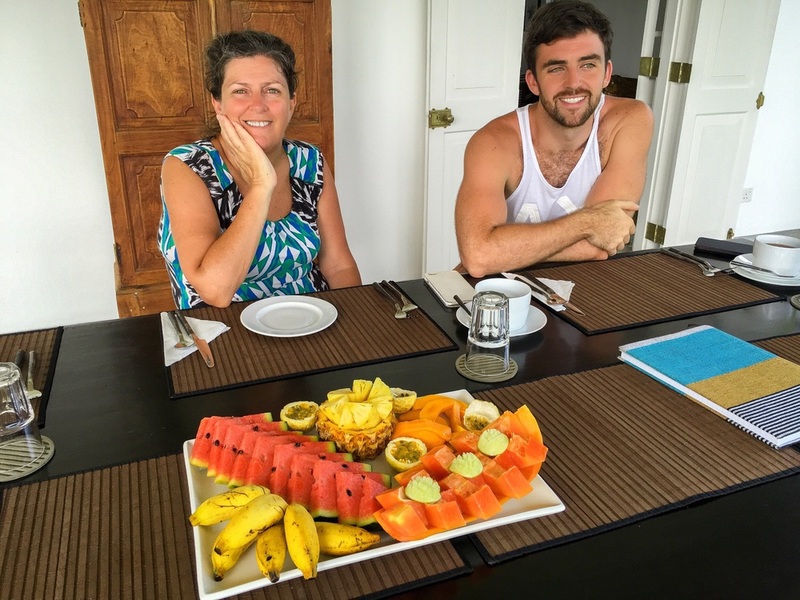 The staff are amazing as always with the delicious morning brekkies of fruit platters and also the lovely Sri Lankan and seafood dinners. One of the bedrooms at Etamba House. One of the most enjoyable things was to relax on the edge of the infinity pool looking out over the paddy fields watching the local kids run through the paddy fields flying their kites. Mum and I sitting at the brekkie table enjoying the view our over the paddy fields and pool. We had another amazing visit to Sri Lanka. As always I have really appreciated just how friendly the people are, everywhere you go you are met with a smile and very happy people. It is a truly beautiful country with so much to see and offer. Rich in natural beauty and a very untouched coultural feel that makes it all that much more special. I am looking forward to uploading photographs and sharing my passion and that of Jellybean Studios. I hope that you will all enjoy looking over my site and all the various photographs and stories that go along with the captured memories. Looking forward to updating this soon with some of the new things happening in my life around photography and my passions.